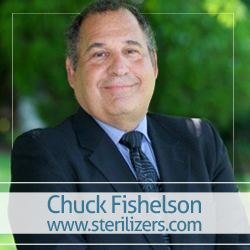 In this episode Charles and host Kimberly Henrie discuss the history of sterilizers and autoclaves. They begin with the fact that sterilizers and autoclaves were first being used in the late 1600s, but didn’t become popular until nearly 200 years later! Charles also takes time to answer questions Kimberly has about the above. These questions could be ones that are floating around in your mind, too! Tune in to hear Charles explain the pros and cons of the top three sterilization techniques throughout history, including dry heat, gas, and chemical vapors. You also will not want to miss hearing Charles explain why disinfectant alone, either with rubbing alcohol or some other substance, is just not enough! Listen to the entire episode now! And afterward if you have a specific question for Charles, you can contact him at http://www.sterilizers.com or visit the company’s facebook page where you can post a question, a comment, or just get some general information.